Stimulates plant defense and growth mechanisms. 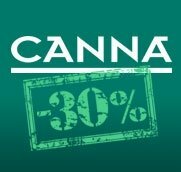 Power vigor, production and overall plant development. Help in managing disease control. Improving the ability of plants to evolve and self-protection in stressful situations caused by adverse environmental conditions. 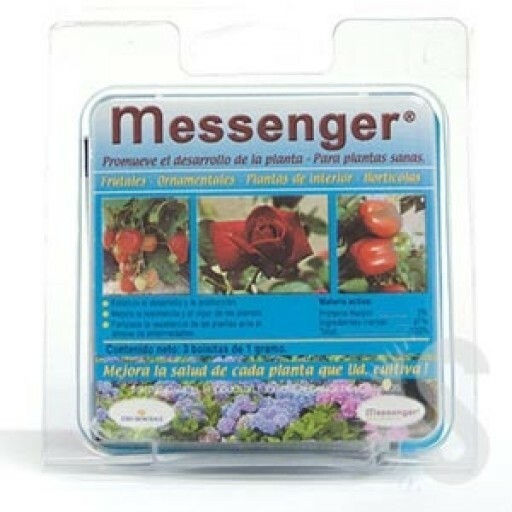 Messenger is a derivative of a naturally occurring protein (harpin), which stimulates the development of the plant and its defense mechanisms to enhance their ability to grow and protect themselves by themselves in situations of stress, caused by adverse environmental conditions. 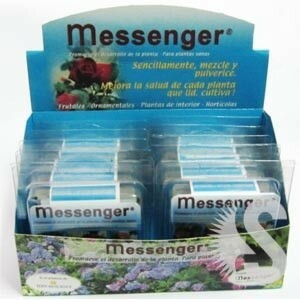 Use Messenger to enhance plant growth, vigor, production, and help in the management of disease control. 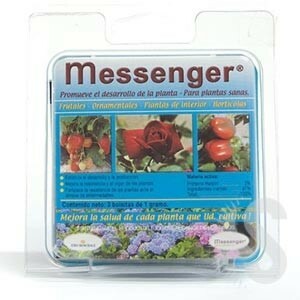 Messenger can be used on all types of plants, both exterior and interior, including roses and other flowers, vegetables, fruit, berries (strawberries, blackberries, blueberries, etc. ), vines, root crops, grass and all kinds of ornamental. Keep out of reach of children, away from drinks, food and feedstuffs. In cases of sickness or accident, seek medical advice immediately. Add sachet (1 gram) to 1 liter of water, then shake vigorously. 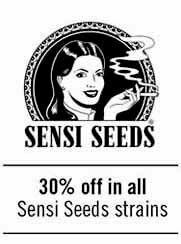 Apply the mixture on the leaf of the plant, pump, spray, watering or other applicator. Apply when the plant is in operation. For best results, try every three weeks until harvest until the first frost or to the dormant plant. Apply the mixture, at best, up to 4 hours after preparing. Re-treat if it rains antess within 30 minutes after application. Close open bags of product, to minimize exposure to air and moisture. Opened bags should be used within 3 weeks. Store in a dry and out of direct action of sunlight. No storage at temperatures above 43 ° C, more than 7 days. Once the bag is empty is not to be reused. Put it in the trash or, if possible, take it to a recycling center.